For the twelfth year, the Kiwanis Club of the Haddons provided backpacks to the Center for Family Services in Camden. 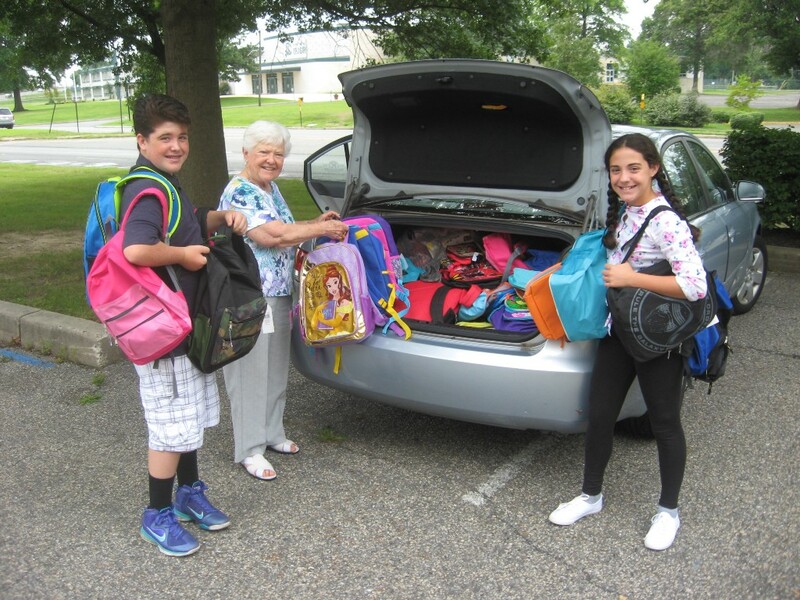 Adjourning their Aug. 11 club meeting early, the Kiwanis Club of the Haddons stuffed backpacks with pencils, pens, notebooks, composition books, crayons, highlighters, rulers, glue, binders, folders, pencil boxes and more. In addition, a full box of school supplies were donated. This is the twelfth year the Kiwanis Club has provided backpacks to the Center for Family Services in Camden. “Club members have been shopping the sales for the past two months. Some even started shopping last September,” said Club Secretary Milton Smith of Burlington City, an Architect with Kitchen & Associates Architectural Services in Collingswood. Mary “Pat” Wilson of Haddon Township, a retired nurse, brought along her grandson and granddaughter to help stuff the backpack. “They always looks forward to this project, showing how we can help others in our community, and, who better to know what school supplies students need than current students,” Wilson said.